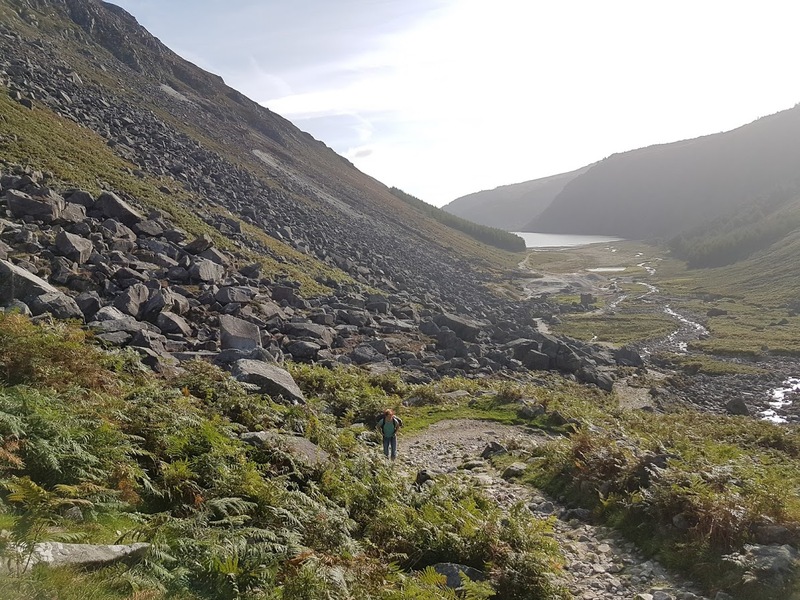 When last night I suggested on our WhatsApp group a field trip to Glendalough it was just a loose idea that I hopped for to spark some interest. To my great joy Sonja responded first and within couple of minutes we were setup to meet around 8.30am outside my place. Derek said he will make an effort with one of his other climbing buddies, but for later time in a day (midday or so). Sonja with her German precision made it on time and we set out for the short drive to co. Wicklow. It was truly amazing day today – one that can easily compete with best June summer days. We were both very excited to get some climbing done, and maybe meet up with Derek later on in a day. We’ve arrived at almost empty car park few minutes after 9am, picked up the bags and set out. The hike up the valley was pleasant as usual. I used to hate it the first few times I went out there, but now it learned to enjoy it (and it also serves as a great warmup). For those who never been – It’s around 1h at leisure pace from the car park to the Base Camp. The trail leads next to the lake, via miner’s village, up until you see where the magic happens (most non climbers continue up the trail, we turn right at certain obvious point). 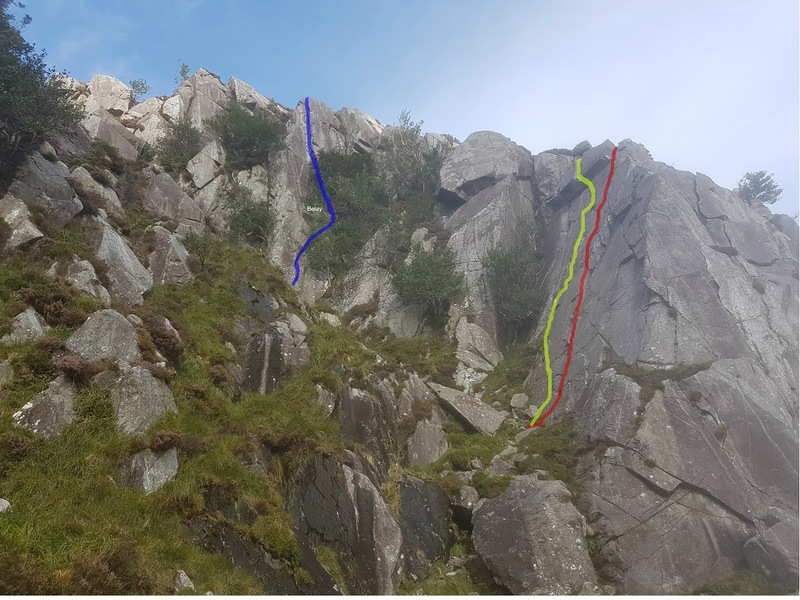 We started at Expectancy Slab.This is the clean cracked slab on the right-hand side of Far West Buttress, where some of the most pleasant routes can be found. The only downside is the approach, which goes through some wet, steep and unpleasant terrain. It’s ok, but just need to be extra careful as it is very easy to slip. This can be climbed in number of ways, one of which upgrades the grade to HVS 5a if Pitches 1 &2 are done together. Sonja started Pitch1 with tree belay, I took over and lead it to the top in one long push. I did feel like HVS, but not sure if the book would agree. 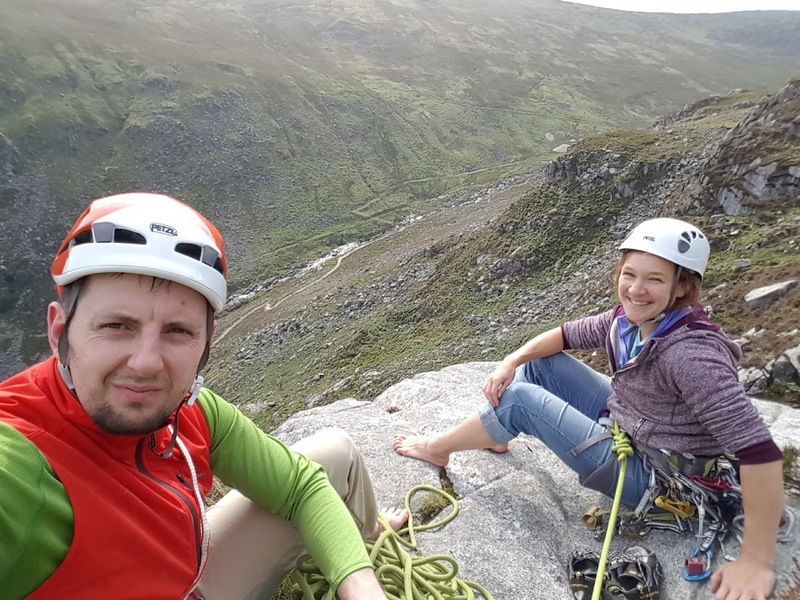 Nonetheless it was a very nice route, and even though I had to rest on gear at one point (I’m not climbing that much lately and fitness isn’t there…), we both truly enjoyed it. 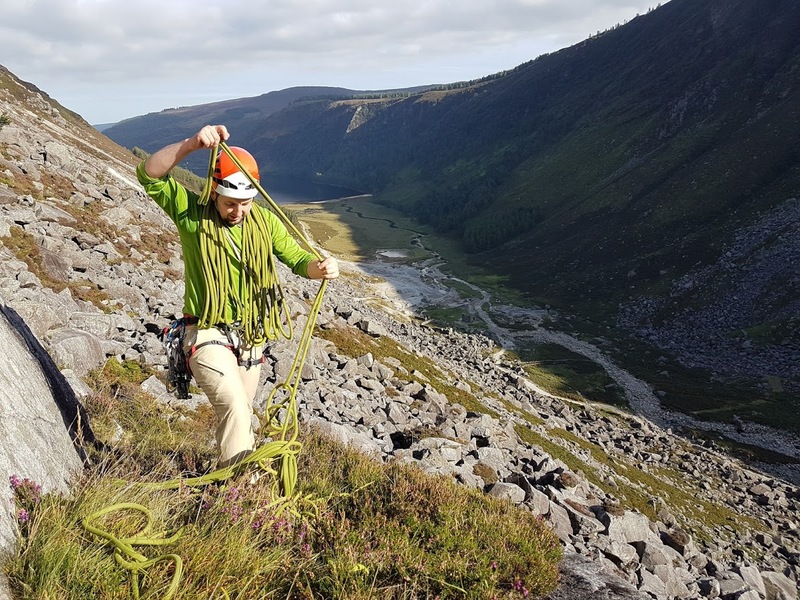 I climbed that many times before (last time with P. on our last visit here in June) – it’s the usual opener to fantastic climbs of the East Wing’s Upper Tier. And as for Derek – he never showed up, seems like his partner bailed on him…Oh well – maybe next time.